Big brothers have a lot to teach their little sisters. For me, my older sibling is constantly teaching me how to communicate better. Without the ability to speak a single word, he’s able to communicate with 100 percent more proficiency than the general population. 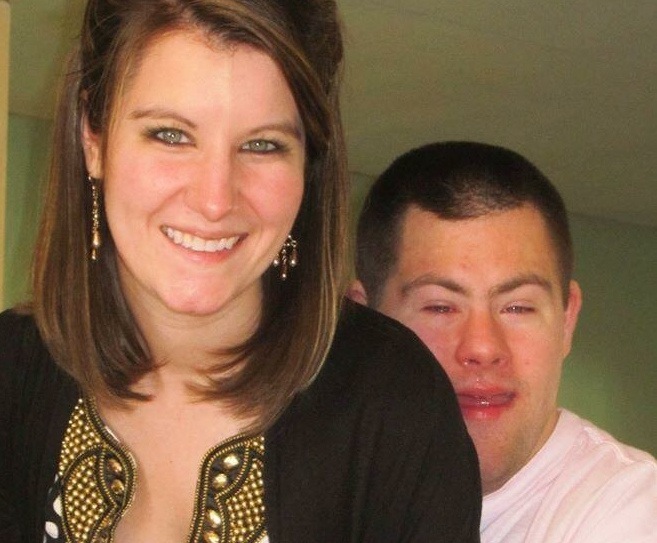 Joe was born seven and a half weeks premature with Down syndrome. Early on, he was diagnosed with a motor speech disorder called apraxia of speech. While the cause is mainly unknown, it essentially inhibits the muscles of his mouth from forming the words he wants to say. In addition to a symbol-supported communication application, Joe uses a combination of sign language, body language and guttural tones to convey his thoughts. Unable to speak, read or write, Joe has faced challenges every day for the past 28 years. 1. Speak the truth. Joe demonstrates how he feels with no fear of repercussion. Without the use of words, Joe’s tone, facial expression and body language are all he has. There are no words or semantics that he can use to sugarcoat things. For this reason, resolution is achieved much faster for Joe. Collaboration becomes more fluid because there are no hidden messages to decipher. He lets you know what’s wrong, and together, you can fix it. 2. Don’t give up. Joe constantly encounters people who do not have the patience to understand him. As he speaks, they dismiss what he says with feigned comprehension. Through the years, Joe has become skilled in reading tone and body language. He can quickly identify when he is being disregarded and will select a new method of articulation. This perseverance has given him an arsenal of techniques to use with even the toughest of personality types. More importantly, by truly listening to others, Joe understands when he needs to shift from his preferred form of communication. 3. Radiate warmth. Joe has faced intolerance and prejudice more times than I would like to admit. Still, he has an innate ability to overcome it through projecting warmth and happiness. When he encounters someone who doesn’t understand, he smiles, laughs and says hi. He enters each interaction with the notion that he will be your friend at the end, regardless of how it starts. With that mentality, there is rarely an objection he can’t overcome. Joe has watched me accomplish so many things in life: learn to drive, get a degree, date, move out and travel. Not once did he show a hint of jealousy or loss. In those moments, he celebrated my success and loved me unconditionally. Joe never blames others for what is wrong in his life or fixates on self-pity. Instead, he lifts people up and brings a smile to those around him. He doesn’t acknowledge his own disadvantages; instead, he lives every day as a new opportunity to relate more effectively to those around him. When I think about how my brother moves through this world every day with tremendous grace and serenity, I can only hope to be half of the communicator that he is. While I often fail, I know he’ll always be there to help me try again in a way only a big brother can. The Mighty is asking its readers the following: Describe a time you saw your disability, illness and/or disease through the eyes of someone else. If you’d like to participate, please send a blog post to [email protected]. Please include a photo for the piece, a photo of yourself and 1-2 sentence bio. Katie Devriendt is currently completing her Masters of Arts in Communication from Southern New Hampshire University. Residing in New Hampshire, she loves all things outdoors and spending time with her loving family.